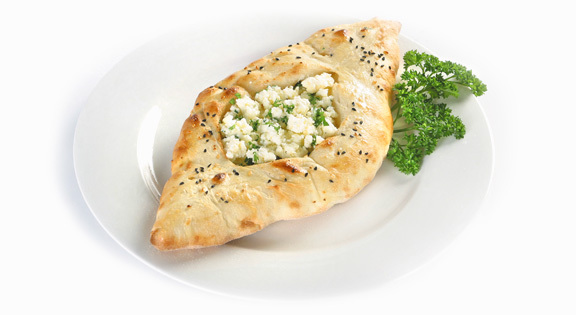 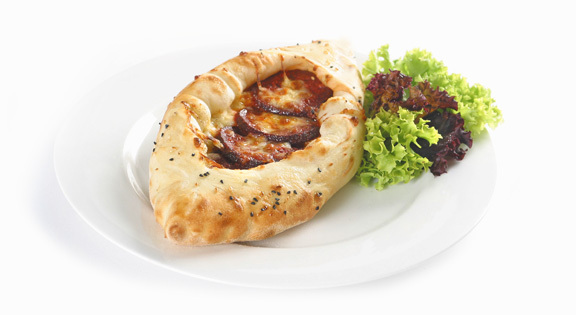 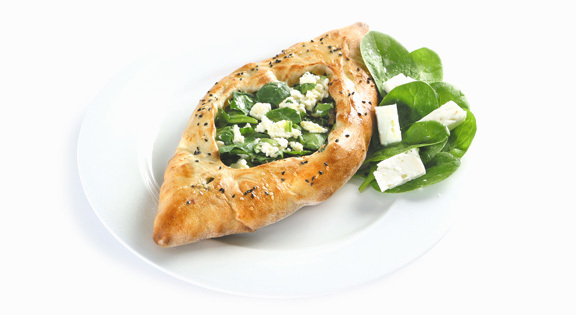 The product is a Turkish Bread base with a Mediterranean filling. 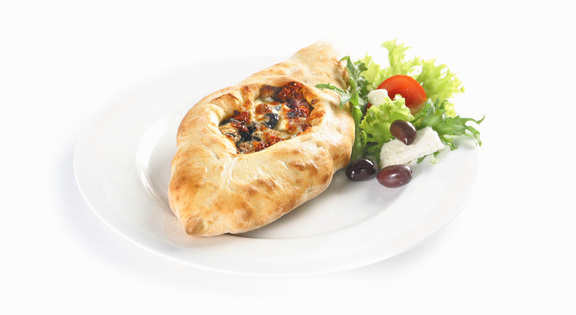 Ingredients: Wheat Flour (Thiamine), Cheese (42%) (ricotta, fetta, mozarella cheese), water, veg. 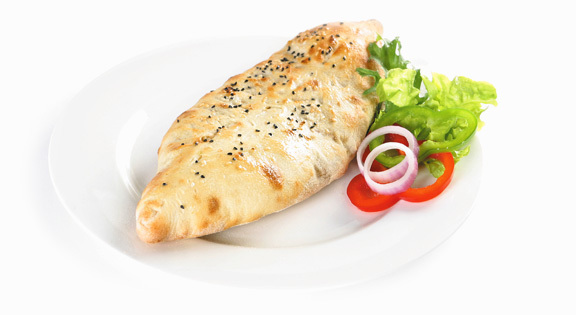 shortening (vegetable oil, antioxidant 320), salt sugar, canola oil, yeast (saccharomyces cerevisiae, emulsifier (sorbitan monostearate E 491), parsley, sesame seeds.